Bacon. I think people will pretty much do anything for it. Seriously. I’ve actually had someone tell me that they had to have it. For. Their. Health. Really? Hey, don’t get me wrong I have nothing against bacon. I like bacon. I eat bacon. Just not everyday. Heck, not even every week. But I eat it. In moderation. But that person and many, many others I’m sure are not going to be too happy, and maybe a bit confused, about the new WHO report that came out this past week. 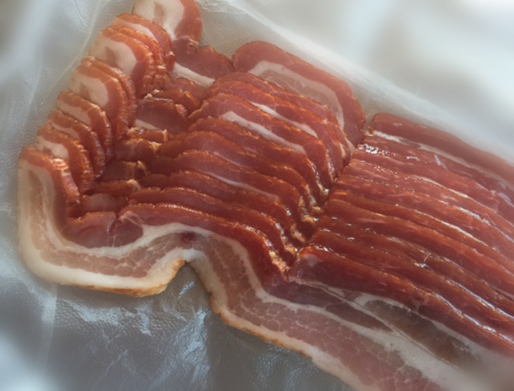 This latest report says processed meats, like bacon, can cause cancer. In fact, it labels processed meats as carcinogenic to humans and placed in the same class as smoking. Is this saying it’s as bad as smoking? Not really. Classifying something as carcinogenic to humans only means there is sufficient evidence that something causes cancer. In this case, processed meats can increase your risk of colorectal cancer. A small risk. To be specific, every 50 grams of processed meat eaten increases your risk by 18%. That’s equivalent to about 6 pieces of bacon or a bun-length hot dog. Does this mean no more bacon and eggs, no more cheese and salami, no more hot dogs at the ball game? Of course not. It means limiting your intake of these foods. And this is nothing new – this has been recommended for years. So I eat bacon. Every once in awhile. And I’ll continue to eat it. Every once in while. I’ve said this before, it’s not about one food, it’s about the whole picture. So go ahead, have that bacon. Every once in awhile.